Sheila Wilson’s earliest memories of her childhood in Dryden, Ontario, include two constants: her family’s office supply stores and the local pulp and paper mill. Decades later, Domtar’s Dryden Mill and Wilson’s Business Solutions share a commitment to sustainable forestry, responsible manufacturing, useful paper products and meaningful investments in the community. 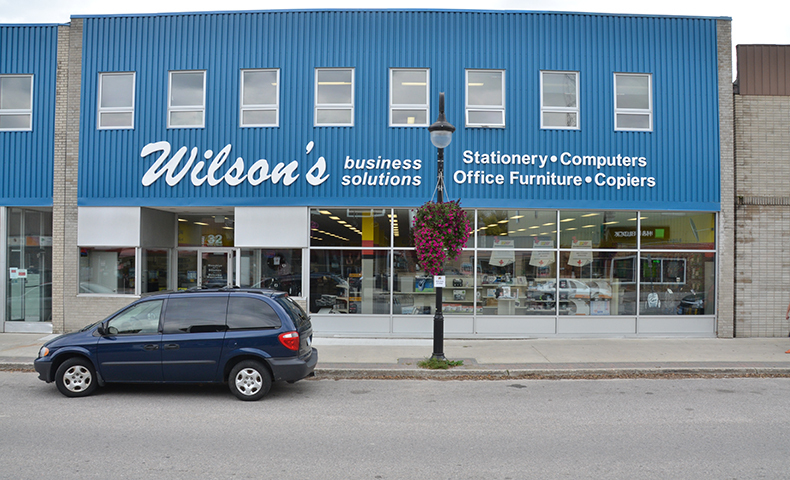 Wilson’s Business Solutions has seven locations in Ontario and Manitoba. It also delivers to fly-in communities to the north that can’t be reached by road. The company sells Domtar paper as its house paper and recommends Domtar paper for use in the printing equipment it sells. The quality of Domtar paper matters as well. The company recommends it to customers who purchase Ricoh and Sharp business equipment from them. The forest products industry helped build this small town, and the mill and related businesses remain the backbone of Dryden. In addition to its high-quality and sustainably made products, Domtar is known for its role in the community. The Dryden Mill and Wilson’s Business Solutions have contributed to important local causes, such as funding new medical equipment for the hospital, improving local recreation facilities and developing regional education initiatives. Dianne Loewen, coordinator for forestlands and public affairs at the Dryden Mill, appreciates partnerships that span business and civic life.